Here we are again ready to wrap up the week. This week had some great behind the scenes shots including the most popular pic seen of Alex in a long time. It was so popular as it was full of so much adorableness. We’ll leave it to you to figure out which pic we are talking about. (Hint – it should be pretty obvious). Here are some of the shots for you to choose from. Looks like a Hawaiian realtor was able to get on set for a set visit and took this bro type pic with Alex. While shooting Paul Ganus who has an upcoming guest role on Hawaii Five O shared this shot. Alex and Scott were caught filming near the Leahi Hospital. The original pic was pretty dark so we lightened it up to see it better. This Australian family was on a set visit and not only got to see the show shot but was able to share the sweetest pic of Alex and their daughter. Although many commented on our FB pages that Alex somehow had a daughter, No, he did not sneak one in while no one was watching. He was just holding her for this candid shot. Lucky girl even if she is not old enough to realize it yet. This is probably one baby pic she will be happy to let her parents share as she gets older. Teilor Grubbs was on set on Friday and shared this fun pic of herself, Alex, and Scott goofing around and passing time. Alex is sure the king of funny faces which surely keeps things from getting boring. Speaking of keeping things interesting…Daniel Dae Kim also shared a pic the same day. This time it was of all the men who seem to be a little early for Halloween. They look all badass though so it will be fun to see this episode and find out what it’s all about. 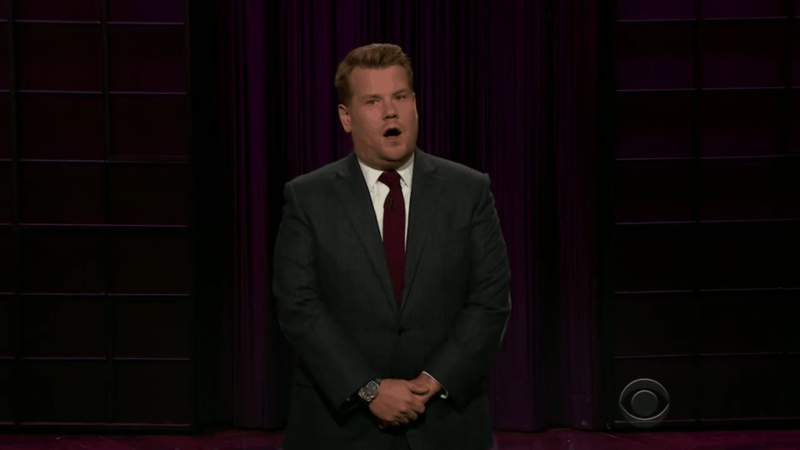 And speaking of badass, James Corden the host of the Late Late Show did a really badass review of episode 7.04 as he explains why he did not watch the Presidential debate that night. You can catch it below. He references McGarrett and shows some pics from the episode. Worth a chuckle if you have not seen it yet. That’s a wrap for another week. Alex and cast are already shooting episode 11 so almost half way done. WOW time goes fast when in season. (at least for us). It certainly goes much slower when waiting on it to begin. Have a good week.